Portland is full of hidden gems – a few of them have been discovered by the masses, but not these ones. StorQuest has put together four adventures in the Rose City that have somehow managed to slip under the radar. 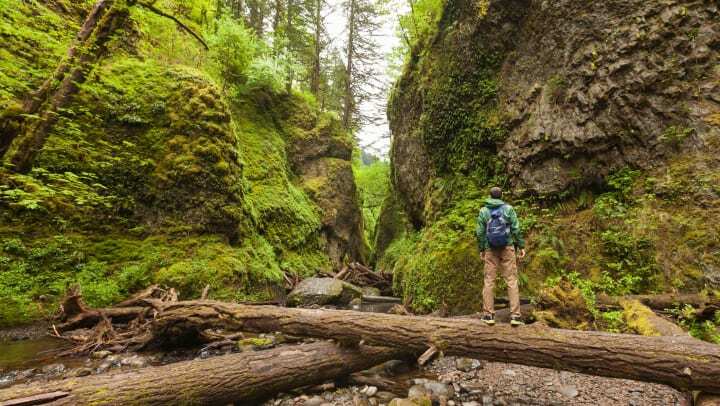 So when you’re looking to escape the crowds at the go-to spots, check out one of these awesome off-the-beaten-path experiences. Just south of city proper near Milwaukie is the Tryon Creek Natural Area. This 650-acre stretch of land is home to more than 8 miles of wooded hiking trails. Grab your hydration pack and leash up your pup – as you make your way around, you’ll wind through wooded forests and over three different creeks. If biking is more your thing, you can take to two wheels on the 3-mile paved bicycle trail, which leads you from one end of the park to the other. Known for its appearance in the Rose Festival every June, dragon boat racing actually has a year-round community attached to it. In a massive dragon-shaped boat with 24 team members, you’ll propel as fast as possible through the Willamette River while a caller shouts instructions. There truly is nothing like this intense, full-body workout – and anyone can give it a try! With more than 40 local teams at DragonSports USA, you’re bound to find a team that’s the right fit. The Portland International Raceway isn’t just for the pros – you can get behind the wheel and experience the thrill, too! Sign up for a two- or three-day racing school for an epic lesson in racing basics, shifting and braking techniques, and how to perform the perfect slide. When you’re finished, you’ll drive away with an SCCA competition license, ready to compete with your own car at an arrive-and-drive race weekend. Cyclers, you can’t miss out on an experience riding at the Alpenrose Velodrome. Home to the longest-running velodrome race in North America – six days – Alpenrose has an incredible 268-meter track with a 43-degree bank. Come for a training session or jump right into a weeknight or challenge race. New track riders are also welcome. Check out the Tuesday night track development class to get a hang of the basics and end the session with a mock race. Track bikes are even included – just bring a helmet! At StorQuest, we have the perfect space for all of your adventure gear. Road bikes, snowboards, motorcycles, kayaks – whatever keeps you busy during your free-time, trust that it’s in good hands while you’re away. Give us a call to see how we can be the home base for all your adventures.